Listening to a podcast with friends in real time. Recently, I sprung the idea that me and some friends listen to a podcast about a murder that took place in 2005 about 2 hours from where we all grew up. A guy from Atlanta had taken it upon himself to try and figure out why the case hadn't been solved and probably to get some experience under his belt. I must say that it has been as enjoyable to listen along with friends as it can be to listen to a podcast about an unsolved murder. Each week, we'd tip each other off that a new episode had dropped and wait for everyone to listen to it to critique. I thought it would be fun to try to listen to it together at the same time and found it challenging to figure out how to accomplish this. Needs to be able to stream the audio podcast in sync. Needs to be able to stream SoundCloud audio. While the last bullet wasn't required, it was preferred. After trying to navigate plug.dj with frantic friends who felt they were so close to accomplishing our goal, I just wanted to see it work; period. The cross platform requirement proved to be one of the hardest to accomplish. If you are strictly iOS, the options become numerous. First you have Liyo. Their tagline is "Listen to music with friends around the world." This has been the best experience if all your friends have iPhones. Lisn is another option for listening together in sync. 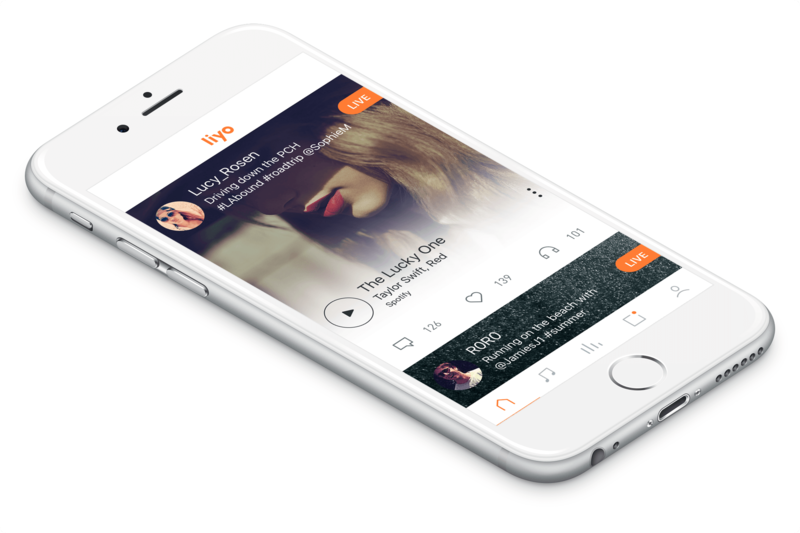 Lisn lets you listen to music in real time with your friends. It's like sharing earphones. The last option I found was an app that looks solid called Vertigo. It actually looks like it has the most support behind it in terms of development as well as financing. I started with Lisn and it proved to be an easy setup and Brock and I were streaming sync'd tunes in no time. Unfortunately, I queued up a song I had previously uploaded to SoundCloud that they had since removed for various reasons. Somehow I was still able to queue the banned song in Lisn and they app grinded to a halt and became unusable. I have contacted the app's developer and once fixed, this will be a solid app. After Lisn became unusable and I had Brock on record as enjoying the Barton Hall show by the Grateful Dead, we both installed Liyo and were back up and running. Liyo has a nice UI and if you have used Twitter's Periscope, you'll find the layout familiar. While this was all well and good, my other friend Iain was rolling Android and I felt obligated to respect his decision to non-conformity. During Day 2 of the search to listen to a podcast with friends on the east coast in real time I found a service called AmpMe that brands itself as a way to "Sync your phone with friends to create the world's most portable sound system". Although I'm not looking to build that portable sound system they refer to, I am interested in keeping that audio in sync. And it just so happens that they have apps on both platforms. The only thing this service lacks is the chat feature, but that is the easiest to overcome. Iain is on a bus and we've tried the service out and it worked pretty good. Actually, it worked really good.